Doumbek follies continue: it’s time to take off the wedding ring – A t i s h e h. Dance. Fitness. Joy. I recently started working with Carmine Guida’s Baby Beginner Doumbek Workshop, a super basic and gentle introduction to the doumbek. As I wrote in the earlier post, I don’t think it makes sense to try and learn all these rhythms in a day: for beginners as rhythmically-challenged as myself, that’s a hopeless proposition! Cross training the ring fingers! Although I only popped the video in for the second time yesterday, the Doumbek Workshop has been with me constantly in the intervening time. Part of this is due to the brilliant idea to write down the rhythms on the inside cover of the CD. I was a fan of this from the start, and I’m even more enthusiastic now. Because, while I began working with the video by learning the maqsum and baladi basic forms, as I practiced on my own I noticed that the saidi basic form has beats on all the same accents. Pretty soon, without even getting further in the video itself, I was switching back and forth between the three rhythms, speeding them up, slowing them down, and so on. The other thing I’ve noticed is that for the first time, I really am starting to identify rhythms in the Middle Eastern music I listen to. Not all of them, and not all of the time, but every now and then my ear will tune in and pick one out. And once I do, dancing to it becomes even more natural. This is precisely what I hoped for, and I don’t think it would have happened just watching bellydance rhythm instructionals. My husband, who is musically gifted, hearing me practice, picked up both the doumbek and the rhythms in a moment flat, and started filling them in. He hasn’t even watched the video, but he doesn’t need to! We’ve now had a few lovely sessions of him drumming, both Middle Eastern and other beats, and me improvising some bellydance moves to it. Needless to say, I am thrilled. I, who have never really performed in public, now get to practice improv drum solos with my own live musician! I returned to video practice by running the maqsum, baladi, and saidi segments, the last of which felt like a repeat due to my intervening practice, although I hadn’t actually watched it yet. And then came the time, the time for… the dreaded ka. Carmine demonstrates how not to do the ka. 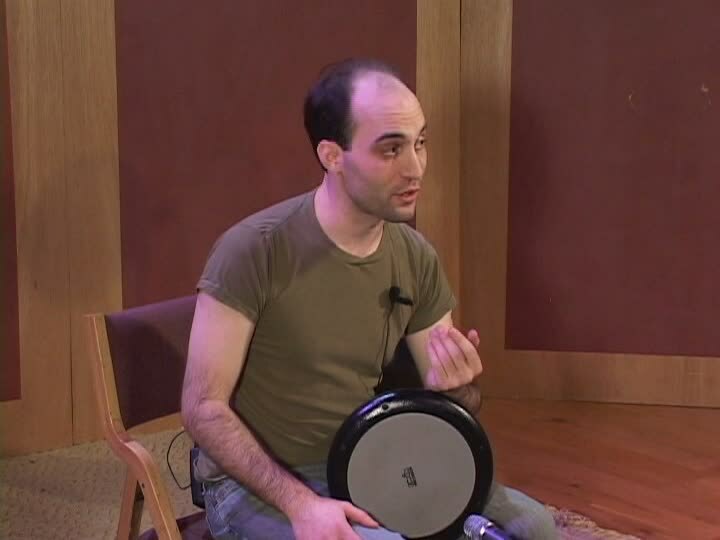 My first doumbek classes were in a world drumming course, so half the students had djembes, and half had doumbeks. We learned our first rhythms holding the drums between our legs, which effectively also meant that I learned to do the ka with a few fingers of my left hand, pretty much like the tek. And that was fine, except I could also see that most doumbek players don’t do it that way. 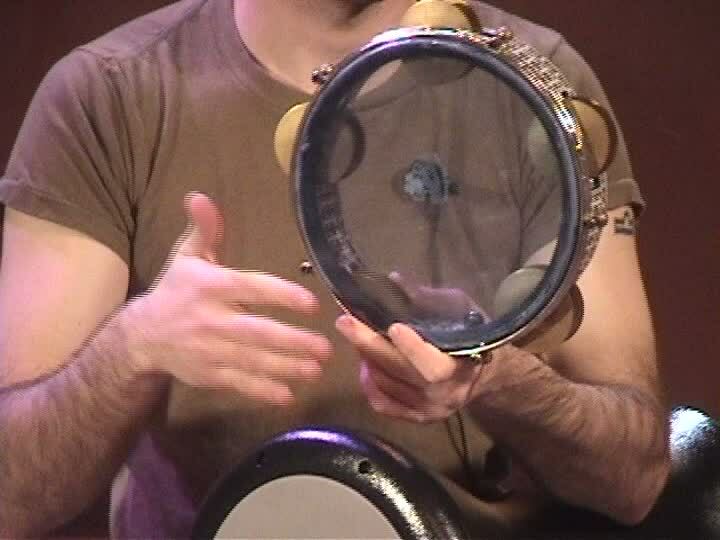 Carmine teaches a version in which the ring finger of the left hand produces the sound. Now this is hard. I was very glad that when he introduced the ka, and most of the students in the drum circle could do it right away, he pointed out that they were repeat students and that getting any kind of ka sound on the first try was a triumph. He gives quite a few tips for placement of the hand and arm, and how relaxed they should be, that do increase my ka batting average. To my surprise, however, learning the dancey ayub rhythm actually helped me get the sound more frequently. Even though once Carmine sped that one up, I got lost again. Well, now I know what my homework is! Thank you so much for represent the awesome tips and knowledge about Doumbek follies.I like it. I also find the more Doumbek tips. Great !